Windy City Mechanical, Inc. is proud to serve the Homewood community! About Homewood, IL - Happy to be your hometown Heating & Air Conditioning Contractor! Homewood is a Cook County village located in the northeastern corner of Illinois, and it is situated 22 miles south of downtown Chicago and the Loop area. The population of this community was approaching 20,000 during the 2010 census, and it has been ranked by Forbes magazine as one of the most livable Chicago suburbs. Students generally attend Homewood-Flossmoor High School, which is known for its academic excellence. 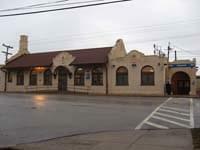 Rail service to Homewood is provided by Amtrak, allowing commuters to get to both Chicago and Carbondale for work. Homewood and the surrounding area are home to a variety of unique area attractions. The Brunswick Zone XL Homewood is a great place for families to spend the afternoon bowling with their kids, and families also enjoy the Homewood-Flossmoor Park District’s Lions Club Pool. The community also operates a variety of parks, including Rover’s Run Dog Park. Nearby Flossmoor, which is located just south of Homewood, is also a popular destination for golf enthusiasts, so many Homewood visitors and residents make the short trip to this community to play a round. The Flossmoor Country Club and Idlewild Country Club are both located in Flossmoor, as is the Coyote Run Golf Course. Additional golf courses are plentiful in other Chicago suburbs. Homewood is definitely a village of weather extremes. Winters in this northeastern portion of the state are cold and snowy, and severe weather is possible. During these cold periods, an efficient furnace is important, especially if winter storms keep residents at home. During the summer, the weather will turn humid and hot, and there are numerous days that temperatures exceed 90 degrees. However, with such high humidity levels, conditions usually feel much warmer than that, so Homewood residents rely on their air conditioner to keep them cool while also keeping allergens at bay.